I want to touch quickly on my jeans... in today's outfit I am wearing American Eagle's TomGirl style. I love the looser fit of boyfriend jeans but found that every pair I tried on seemed to just look too big instead of intentionally baggy. The TomGirl styles are slightly more fitted than your typical boyfriend jeans. They taper in on the leg but still have that relaxed fit. I also love that this pair of jeans is a darker wash and slightly cropped to show off an awesome pair of shoes. These were the perfect pair of 'boyfriend style jeans' to dress up. My sweater, heels and mini bag added some polish to this particular outfit. Don't forget to try your BF/tomgirl jeans with a pair of sneakers and cozy sweater over the weekend - this style makes the perfect pair of off duty denim. 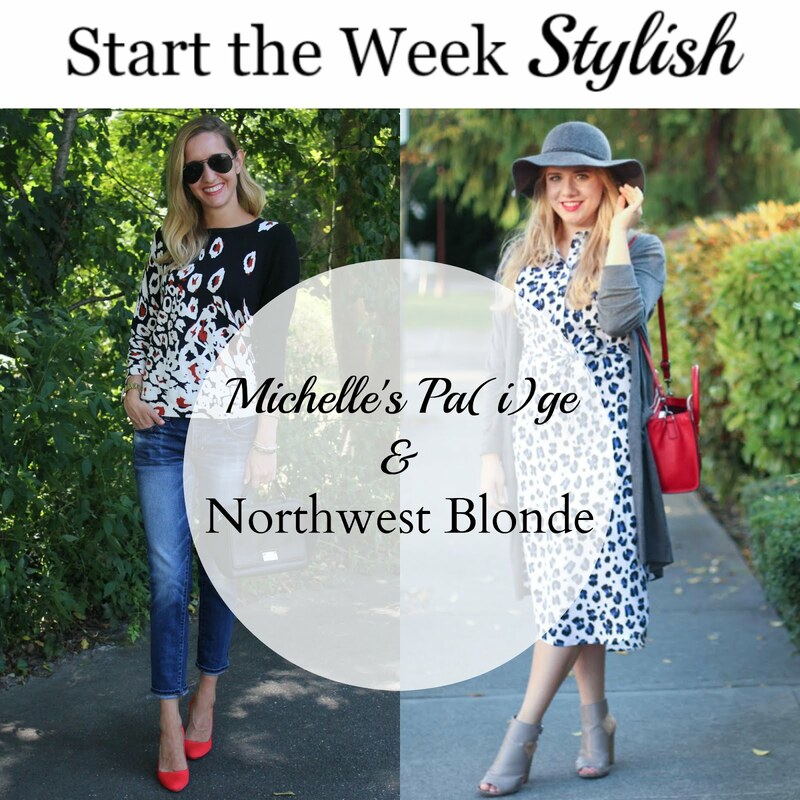 Last week, we loved Rachel from A Blonde's Moment & Mary from Eat, Drink & Be Mary's transitional fall outfits. I love this top. I like that it is a more subtle animal print. Gorgeous look,and obsessed with your heels! The top has fabulous color Michelle!! It may be animal print, but it's definitely a different one---super cool! It's almost like an ombre animal print. I thought it was so cool! Love that darling top! Those heels are super cute with it! I love this take on animal print and those shoes are nothing short of fabulous! Your top is adorable and it looks amazing with those fabulous heels! Love your top and those shoes are cute! Looking amazing in this outfit! Obsessed with the fit of those jeans, I'm going to try some! They are perfect! Slouchy but not overly baggy or large. I love this outfit. I especially love how your jeans are rolled - just one small roll gives it an intentional look without making them too short. I'm going to copy that! I always adore the look of a cuff around the ankle of my jeans. It adds an effortless feel. I love the unique spin on animal print pattern in your sweater and your outfit is fabulous. 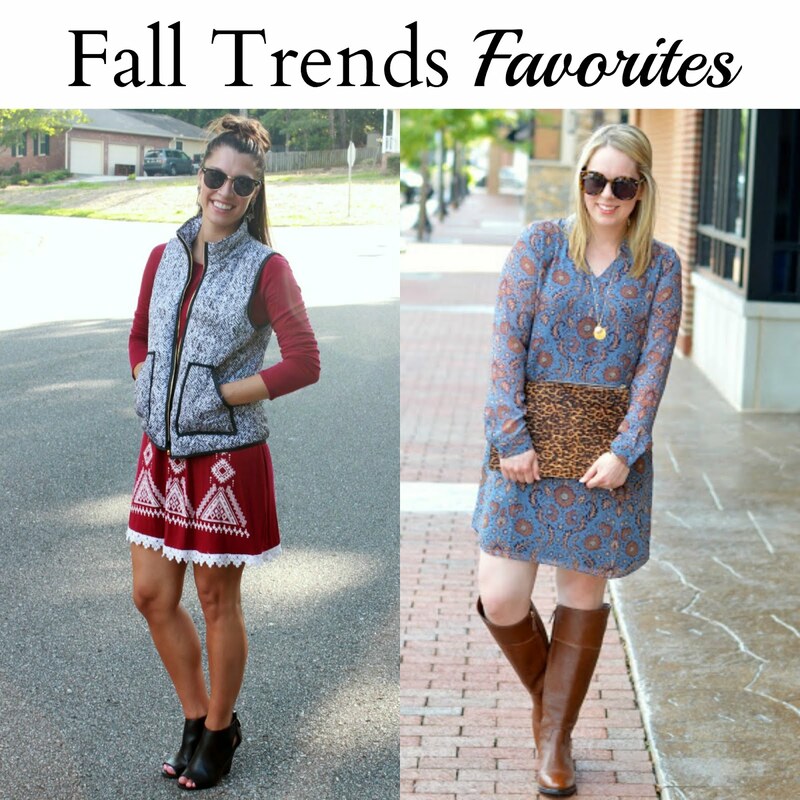 This week's theme fits perfectly with a new post I just published on mixing prints. Thanks for hosting. Great! I can't wait to check out your outfit in the link up! LOVE this Michelle, the fun print, the to die for shoes..just so chic and fun!! Hahaha you're right - you could start to resemble the animal when you wear too much animal print! But when it is done right then it is definitely an amazing look. Your leopard top is so cool! I've never seen one like it! I love this one! & the fabric of the sweater is so soft! That is truly the most unusual animal print sweater I've ever laid eyes upon, Michelle, how striking!! I love how you paired these heels with this sweater...really ties it all together! Such a cute look! Totally loving this bold and beautiful leopard print on you Michelle!